Now—how many fewer ferias are there now (2013) than what we had in 2003 when HWHM was officially authorized? The answer—wait for it…is: none. Indeed. There are precisely no fewer ferial days now than there were then. Yes, the observance count has jumped up dramatically, but none of these days, none of these liturgical events are required or enforced by the church. Zip. Nada. If you turn with me to the front of your prayer book, you’ll note that the Calendar section identifies the days that are to be publicly observed with Eucharistic celebrations (with propers provided for in that book). Principal Feasts: these are the big 7 feasts which take precedence over everything else. Sundays: There are 52 of these—although we’ve already accounted for three of them in the previous section. Holy Days: This is where things can and have changed. When the Calendar was originally proposed in 1964 there were 25 of them; in 1980 this number jumped to 32. Days of Special Devotion: As I’ve suggested before, this is more accurately an ascetical category than a liturgical one. No days are added here. Days of Optional Observance: These are days that “may be observed with the Collects, Psalms, and Lessons duly authorized by this Church.” But you don’t have to. They are entirely optional. By my count, then, since 1980 there are (7+49+32=) 88 Sundays and feasts authorized by the prayer book in each year. Accordingly, there are 277 ferial days in a common year; 278 in a leap year. Option 1: We can choose to observe a Day of Optional Observance. So, using the trial resource HWHM or LFF 2006 which (as far as I can tell) is still the official non-trial document. (Isn’t it strange that you can’t buy it from Church Publishing, though? And that the cheapest edition of LFF currently on Amazon is $258[!?!]). This seems to be the default option in the heads of most people. To let it remain that way, though, is to miss the freedoms that the Calendar gives us. Option 2: We can choose to observe the feria. The simplest way to do this is noted in the prayer book on p. 158: “The Proper appointed for the Sunday is also used at celebrations of the Eucharist on the weekdays following, unless otherwise ordered for Holy Days and Various Occasions. . . . Directions concerning the Common of Saints and services for Various Occasions are on pages 199, 199 [i.e., Rite I], 246 and 251 [i.e., Rite II].” For the Daily Offices, this means simply using the Collect from the previous Sunday (with a couple of exceptions around days like Epiphany, Ash Wednesday, Ascension, etc. as noted in the Collects). For the Eucharist this also means what it says—the Sunday Propers are repeated. Prayer Book Studies XII (1958) gave a fair amount of thought to the Lenten season. Between the 6th and the 8th centuries the Roman Church had given special attention to these days and gradually assigned propers to all of them. Noting this, but further noting that most Episcopal Church parishes didn’t need nearly that many propers, this work offers proper readings (“Epistles” and Gospels [scare quotes required as these were all OT or Prophecies following ancient precedent]) but not collects for the old Station days—Wednesdays and Fridays in Lent. In the first authorized version of Lesser Feasts and Fasts (1964), both the readings and collects for these days were printed. (And here we actually have the eponymous “fasts” of the title. Ember Days for Advent, Summer and Autumn were also provided though I don’t consider them ferial in the technical sense as they would receive prayer book collects with the advent of the ’79 book and be listed amongst the “Days of Optional Observance”.) The rubric at the head of these weekday propers states that the priest may use these or the appropriate Sunday propers at his discretion on any day within that week. With the advent of PBS19 and the move towards a three-year Sunday Mass lectionary with a psalm and three readings, this all changed. The note in the front of the Revised LFF (1973) makes reference to “Optional Collects and daily schedules of Psalms and Lessons for the weekdays of Lent.” Two weeks of optional collects are given. The general rubrics begin by saying that while this sequence is provided, the priest may use the proper of the preceding Sunday or the proper as appointed for a Lesser Feast or Ember Day. So—now there are readings provided for all ferial days in Lent, but no other season. (Mark those words and the context in which they’re given…) With only 20 collects given for the Great Fifty Days, though, quite a number of Days of Optional Observance are in view if one doesn’t use the Sunday collect. So, with LFF3 ferial Eucharistic readings and collects are given for Lent and Easter. At this point, I have a sizable gap in my LFF collection. Looking at the legislative documents, though, General Convention passed 1991-C025 referring to the SLC the daily Eucharistic lectionary of the Church of England and the Anglican Church of Canada. (I believe Forward in Faith had a hand in this—can anyone confirm or deny?) GC authorized in 1994 the daily (ferial) Eucharistic lectionary for the seasons of Advent and Christmas but gave no new collects. The SLC didn’t like the idea of a continuous reading scheme for Post-Epiphany/Pentecost and chose to explore their options, coming back with a six-week series. In 1997-A073 it looks like an amended six-week cycle was adopted in addition to the CoE/ACC scheme thus giving provisions for all ferial Eucharistic services. And these are precisely the words that stood in the Easter section following an explanation of why the celebration of saints was especially suitable in that season. Days of Optional Observance seem to be granted a preference given the use of “ordinarily.” (This seems odd given the traditional privileging of Advent ferias particularly upon reaching Sapientiatide…) At the back of HWHM, both the 6-week scheme and the 2-year CoE/ACC scheme for Ordinary seasons are given, but no mention is made of them giving way to Days of Optional Observance. To summarize, ferial days can be celebrated either in the Daily Office or in weekday Eucharists by using the propers of the previous Sunday (or Principal Feast). This permission is granted in the BCP and is not revoked. Alternatively, ferial Eucharistic propers for the whole year are provided in LFF/HWHM (albeit in a rather disjointed fashion) with collects that could be used in the Office for Lent and Easter. While the rubrics recommend priority going to Days of Optional Observance in Advent/Christmas and an expressed preference for them in Easter, this is not mandated. Option 3: We can choose to observe a Votive. Votives were common in medieval missals; one edition of the Sarum had 29; others had more. PBS19 reprints the SLC’s report to the General Convention of 1967 on votives which broadly identify two types: intercessory and doctrinal. That is, there are those that focus upon particular intentions, and there are those that focus upon specific doctrines. The prayer book offers 25 votives (see pp. 199-210; 251-261; 927-931) in addition to the 14 commons of the 6 identified kinds of saints. These votives are granted with only the following permissive rubric: “For optional use, when desired, subject to the rules set forth in the Calendar of the Church Year.” (BCP, 199; 251) HWHM itself adds a combination of 12 commons and votives (including 2 for the BVM) bringing the total authorized votives and commons to 51. Of the major complaints I have heard around HWHM, there are three that stand out in particular. It doesn’t leave enough ferial days. Frankly, I’ve not been convinced that this is a major problem. After all, I’m a medievalist. I’m used to martyrologies that pile multiple people onto every single day of the year and kalendars that choose amongst the options of whom to celebrate. All of these figures are optional. The absence of ferias is only an issue if you choose to celebrate everyone who comes along, and that is not required. What if—we made the options more clear? What if we held a book clearly entitled “Optional Observances”? What if “Holy Women, Holy Men” was the title of a subsection of it rather than the whole? And if the ferial material was not scattered throughout it in disjointed fashion but presented as a coherent option equal to HWHM? What if we promoted the votives more and gave them a focus? There are people in HWHM whom I have a hard time honoring eucharistically as saints. However, I think many of them could be illustrations at votive masses for, say, “Artists & Writers” (HWHM, 728) or “Care of God’s Creation” (HWHM, 731), or “Social Justice” (BCP, 209/260). What if an almanac section—apart from the HWHM section—were to collect them and unite them with particularly appropriate votive occasions? The individuals in question would be remembered and commemorated, and the Church would only have to demonstrate “importance” or “significance” rather than the higher bar of “sanctity.” Perhaps this would give us the mechanism for remembering those figures of the past concerning whom we can’t render a full decision now but whom we do not wish to forget, or those who come close to the sanctoral criteria but fail on just a few. This entry was posted in Anglican, Saints on April 3, 2013 by Derek A. Olsen. I think I’m going to sell my copy of LFF! Such a bargain — I’ll undercut the going price by $100! As to your major proposal, it sounds agreeable to me. In the communities where I’ve shared in Daily Office/daily Eucharist, the practice of recycling Sunday’s propers for the Eucharist makes little sense to me at all (especially after a day or two). Somewhere, someone got the idea that in the name of change and variety, it was incumbent on the daily Eucharist to observe every optional feast under the sun. Then, as it became clear that church history doesn’t supply a sufficient quantity of women and non-Europeans who exemplify the particular flavour of sanctity (or to be more precise, ‘good role model-ity’) desired by listmakers, the necessity of filling the kalendar and of enlisting good role models to fill the remaining days eclipsed liturgical intelligibility. Making it clear that optional observances (and, I would suggest, local observances) are — you know — optional, and providing a liturgically-coherent pattern for observing ferias, would go a long way toward alleviating the problem. On the other hand, so many clergy are lectionary-fundamentalists who make free to ignore the canons and rubrics when it suits them, but would suffer a paralysing coronary event if someone suggested deviating from the lectionary, I’m not sure the problem rests entirely with the wording and organisation of the supplementary liturgical materials. As you say: It’s optional. Which, being reminded of, makes the whole thing more agreeable to me: I would simply omit them all! Resuming the Sunday Eucharist throughout the week is venerable, and gives more time to meditate on those specific readings-which after all were particularly chosen-in depth. The office covers the “Read as much of the Bible as we can!” portion. One abomination I would like to see ruthlessly surpressed is *transfering* lesser feasts – to the nearest Sunday! I always see references to “St. Francis Sunday” or “Martin Luther King Jr. Sunday.” Unless they’re the patron of one’s church, they don’t outrank Sunday!! Brilliant! I think you’ve identified a very reasonable and workable solution to the HWHM problem. I love the Optional Observances book idea, and I think it would help a great deal in communicating that these observances are, indeed, optional. As one who has repeatedly lamented the lack of ferias, I want to make a couple comments. Yes, of course they’re optional, but those of us who actually relate to the Kalendar via saying the office daily are going to know that already and experience it quite differently than most people. I think the reality in parish life is that a large number of people will never see anything but a major feast observed on a weekday if that, and that the small group who come to a weekday Eucharist will usually see some saint from the week observed on whatever day that Eucharist is held. The majority will not be impacted by “observing” anything but Sundays. Very little that is done to the Kalendar will, frankly, affect the corporate liturgical experiences of most Episcopalians. But it seems to me that the most common way people now encounter the Kalendar is not in worship at all, but via their clergy tweeting or Facebooking a saint every day that one is available: “Today the Episcopal church observes….” or “The saint of the day for Episcopalians is….” (Since I’m a priest and have a number of clergy friends, I see several of these, and they often contradict each other depending on the book being used, or don’t take into account precedence — e.g. commemorations replacing the days of Holy Week.) This catechesis undermines an understanding of commemorations as optional or varied in kind, essentially leaves aside any of the contextualizing or layered rhythms that would be given by a wider liturgical framework, and is teaching people every time they sign into FB that “we” institutionally honor this person this day. I do actually think the Reformation critique — I’m not a medievalist ;-) — of the saints days kind of usurping more basic truths with which catechesis should be occupied has some purchase in this situation. As someone who says the Office daily, I currently just ask the St. Bede’s Breviary not to give me HWHM, and I’m fine. But I would like to feel that I could ask it to embed me in the authorized Kalendar resource of my denomination without losing the second collect nearly every day to a commemoration, and I would like to be able not to use HWHM without feeling a vague sense of guilt that I am kinda-sorta dissenting. Beth, you make some important comments here about the way that the encounter with the kalendar is changing. You’re right that social media is no one of the more frequent means of encounter for those who are connected to the church and to church-people. And that does make it harder to ignore. I feel strongly that learning the Sunday collects is one of the central ways that we internalize our Anglican perspective of the faith and is one of the reasons why the breviary includes a commemoration of the previous Sunday on saints’ days even if that’s not technically permitted by the rubrics. Especially so since the collects are some of the strongest links back to the original language of the prayer book. I think in a way I share some of Beth’s feelings here, though not necessarily with a positive spin. When I look at someone like Malcolm X, either in our texts or for that matter on the walls of St. Gregory of Nyssa, I don’t see someone for whom there is much liturgical interest; the point is to make a statement to others about our values. Er, their values, since I feel myself to be one of the persons being addressed. This is the kind of stuff that comes across better as a page of “other worthy people” on a website somewhere. I would also tend to do the same with non-Anglican “saints” whom we do not have some sort of claim on (and yes, John Cardinal Newman would go better in this group). I also note a deficiency which has cut across LFF/HWHM from the start but which has only become apparent to me of late: it really doesn’t pay attention to the distinction between saints and martyrs well enough. Take Tikhon as an object example. Our claim on him is fairly tenuous: he had some Anglican friendships but could never be claimed as one of our own. But his real justification for inclusion is martyrdom. I am less uncomfortable commemorating martyrs who are not our own than I am people who are being included solely on the basis of their (potentially non-Christian) works. I don’t feel any urge to emphasis the ferias (except when they’re special as in Lent and Advent), partially because the Offices provide the chance to feel the long sweep of non-celebratory time, and we mostly shouldn’t be using Eucharistic lectionaries for the Offices. Of course, the bigger difficulties are in getting folks to actually use the riches we have available, since it seems like, for most people, liturgy and communal prayer is a Sundays-only or a Sunday-and-Wednesday kind of thing. It might make sense, in fact, to have a whole introductory section in “Optional Observances” explaining, in detail, everything you’ve been talking about here. I certainly didn’t know most of it – and I (once again!) had to go look up “votives” at New Advent! I think these kinds of detailed explanations might do us all a world of good; they could illuminate things that are at present not known or barely understand, and at the same time they could educate people generally about the shape and structure of the Church Year. In fact, a website with blog (of course!) would be a great additional resource. You know about this stuff, because you’re a medievalist (!) and because you’re working on it directly – but I’m 99% certain that most of us Piskies don’t; I sure didn’t. So let’s get this stuff out of the sacristy – where it’s currently a well-kept secret – and into the blogs and social media, what do you say? Thanks again for all your work on this, and for your willingness to have these discussions. It’s great! I’m glad you’re on the SCLM… ’nuff said. So much food for thought, as always on this blog. How would a votive office work? Suppose I want to say a votive office at the conclusion of Morning Prayer at my parish on a ferial day. Is there an official/preferred format? The BCP (and HWHM) provide collects but little further guidance — at least from what I (an interested novice) can find. I don’t know about where to find all the bits for votive Eucharists, but I can’t really imagine a votive office. I guess you could include the relevant collect in the final collects, but it seems like only really big days get expanded to alter the readings for the Offices as well as the Mass. I was thinking of a votive office along the lines of the little hours of the BVM or the votive office of the dead, etc. I think this goes to Derek’s point that we have options for optional observances — and a resource that collects those options would be valuable. My inclination is that the BCP and the mainstream of the Episcopal tradition doesn’t need votive offices. These things popped up in the later part of the early medieval period under the influence of the Cluniacs and are linked to an understanding of monastic vocation that foregrounded hours in the oratory. As the tradition developed, most of these were pared away, or entered the lay devotional experience as substitutes for rather than augmentation of the Daily Offices. As a prayer book people our chief goal is to get more people actually engaging the basic habits of the Church—the Offices as currently configured. 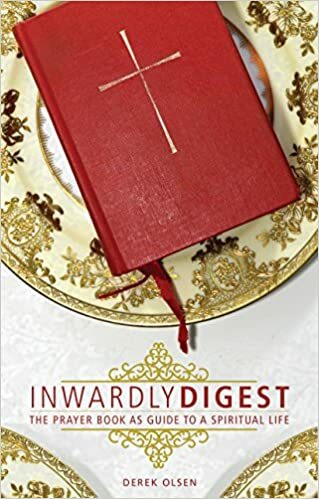 Other additives (whether they be offices connected to the current authorized votives or efforts like the just-completed “Daily Prayer for All Seasons”) takes our eye off the basic mark of consistent prayer book worship. If your parish is already doing the Daily Office and meeting that mark, I would suggest one of two approaches. If you’re thinking about the traditional votives—Office of the Dead or the BVM—I’d recommend simply using them as written using something like Fr. Shirk’s volume. (I do have the traditional votives at the St Bede’s Breviary but need to create a landing page for them…) If you want to do something with one of the currently authorized votives in the prayer book, then I’d just do a commemoration. Commemorations have a antiphon/anthem, a verse/response and a collect. Use the collect as appointed; in lieu of an anthem select one verse of an appropriate hymn, and come up with a v/r (typically lines from a psalm) that work.